Last month, we featured in local magazine, Celebrate MK & we were guests on Stuart Moore’s drive time radio show for Secklow Sounds FM. 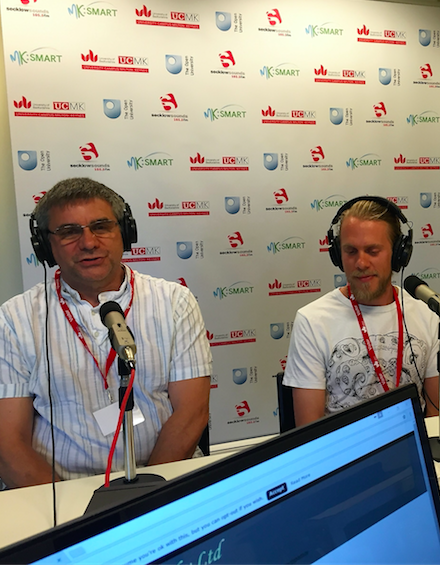 Editor of Celebrate MK, Jon Boyle popped into the workshop to interview us about what we do and how we got started. 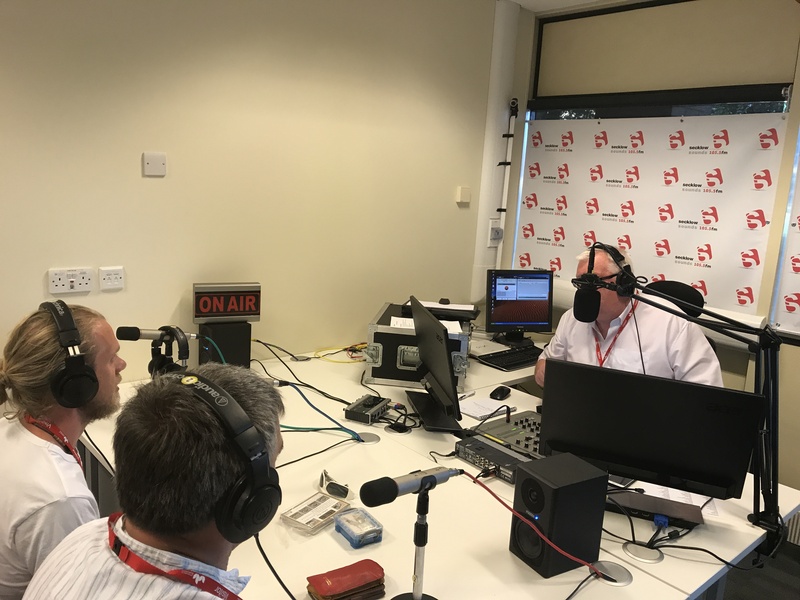 We spoke about Glenn being one of the last trained apprentices with Cartier London, where he worked at Wright and Davis to specialise in watch case making. 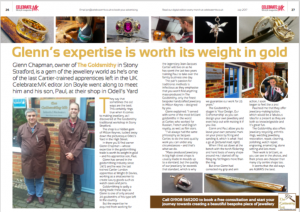 Read what Jon wrote about The Goldsmithy. 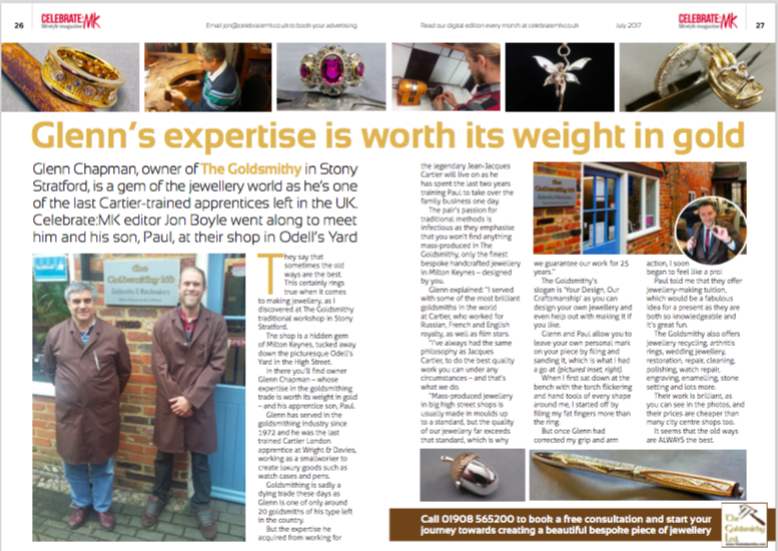 We didn’t let Jon go without letting him have a try at the bench – a service we offer when you’re having jewellery made. 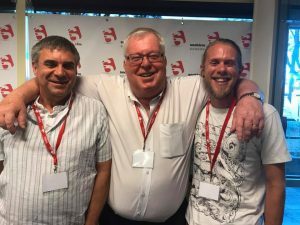 We then went to Central Milton Keynes to see Stuart Moore from Secklow Sounds FM. We were guests for an hour on his show where we spoke all things gold! 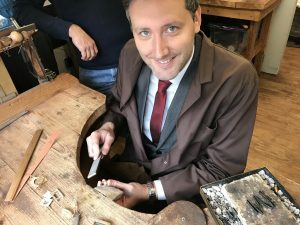 We chatted about the wedding industry and how people can design their own rings; whether engagement rings or wedding bands, and how they can literally add their own mark by filing some of the metal down at the workbench. Stuart was really interested in learning about our trade and impressed by our craftsmanship and attention to detail. We had a great laugh on the show and even had the chance to pick out a couple of songs to dedicate to family members which was an extra special touch. If you’re looking for a bespoke piece of jewellery, give us a call, or pop into our workshop in O’dells Yard in Stony Stratford.